China’s much-criticised trade surpluses are declining in a shift that will see less of its excess savings recycled into global capital markets. For emerging markets already struggling to cope with rising US interest rates, that prospect poses an additional set of dangers. With the Federal Reserve shrinking its balance sheet and raising interest rates, benchmark 10-year Treasury yields climbed to the highest since 2011, putting strains on nations that borrowed big in the greenback. Turkey’s central bank has been forced into emergency action to shore up its currency, while Argentina has sought external help. 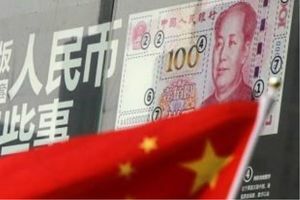 Diminished Chinese surpluses suggest a fresh potential worry for global markets coming to grips with the epic reversal of developed nation central banks’ quantitative easing.